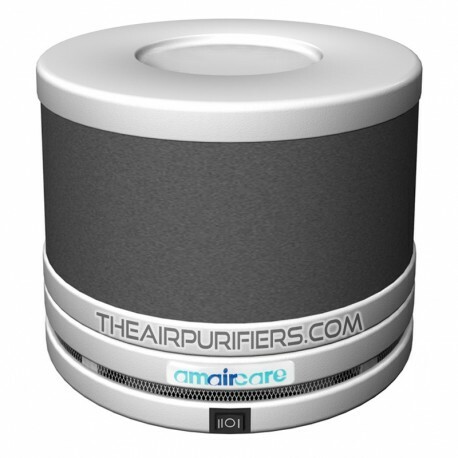 Amaircare Roomaid Multi-Purpose Portable Air Purifier is original Amaircare compact, lightweight, portable, energy efficient air purifier for small areas. 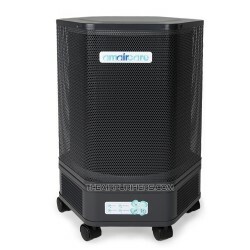 Amaircare Roomaid air purifier features 3-stage HEPA and Carbon air filtration system, which allows the Roomaid to deal effectively with dangerous air pollutants and air contaminants in small areas, such as: bedroom, dorm room, nursery, cubicle, hotel room. 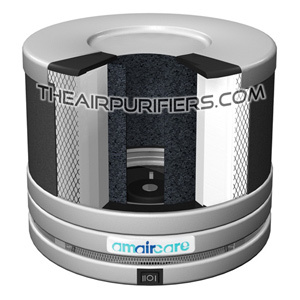 With available optional Auto Kit Amaircare Roomaid is a perfect air purifier for cars, trucks, RVs, boats, etc. 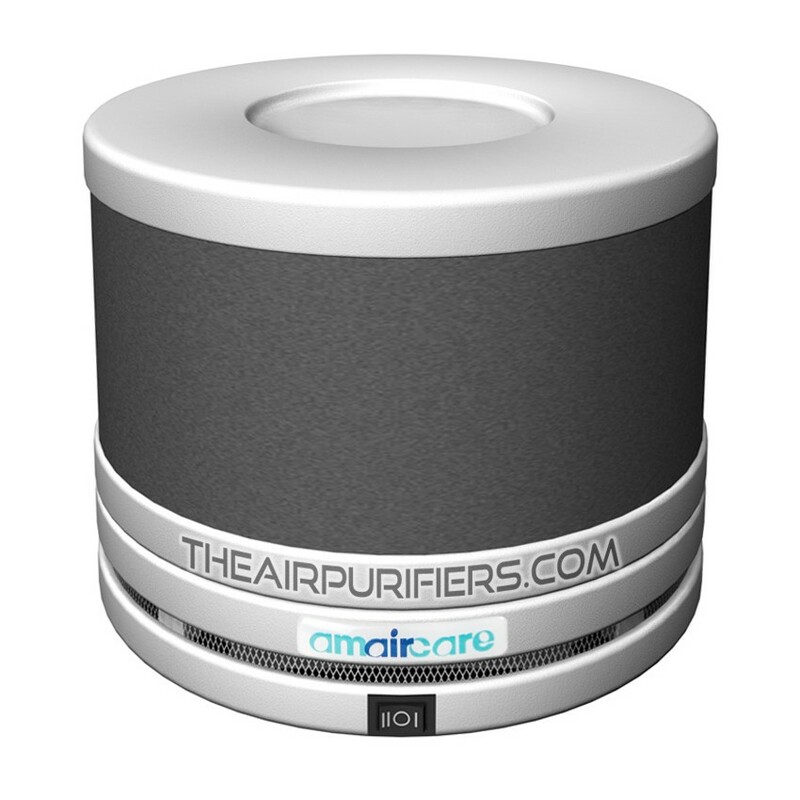 Amaircare Roomaid is a lightweight compact multi-purpose air purifier. 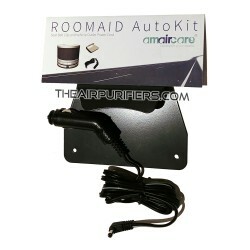 Amaircare Roomaid with Auto Kit is a perfect air purifier for cars, trucks, RVs, boats. Amaircare Roomaid can be run from virtually any power source. 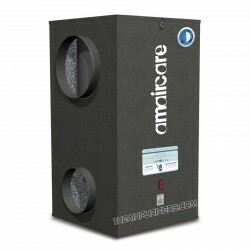 Amaircare Roomaid employs True HEPA and Carbon air filtration system. The Amaircare Roomaid snap-on HEPA cartridge is easy to replace. 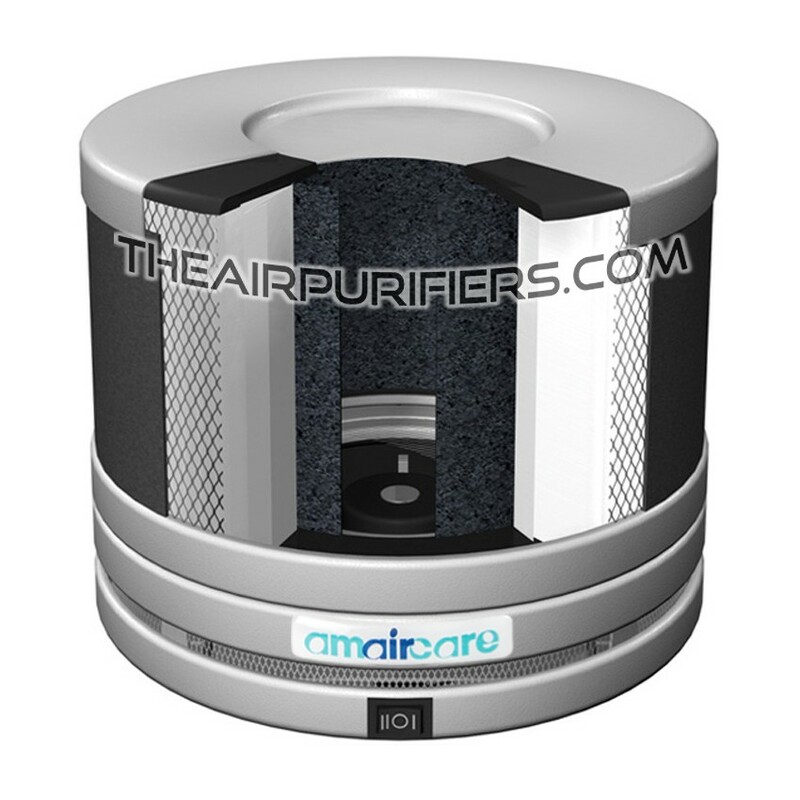 Amaircare Roomaid's optional VOC cartridge effectively removes VOCs, ammonia, formaldehyde, cigarette smoke. Amaircare Roomaid carries a 5-Year Limited manufacturer's warranty. Amaircare Roomaid ships Free of charge in US and Canada. NO US Tax. Amaircare Roomaid When to Use? 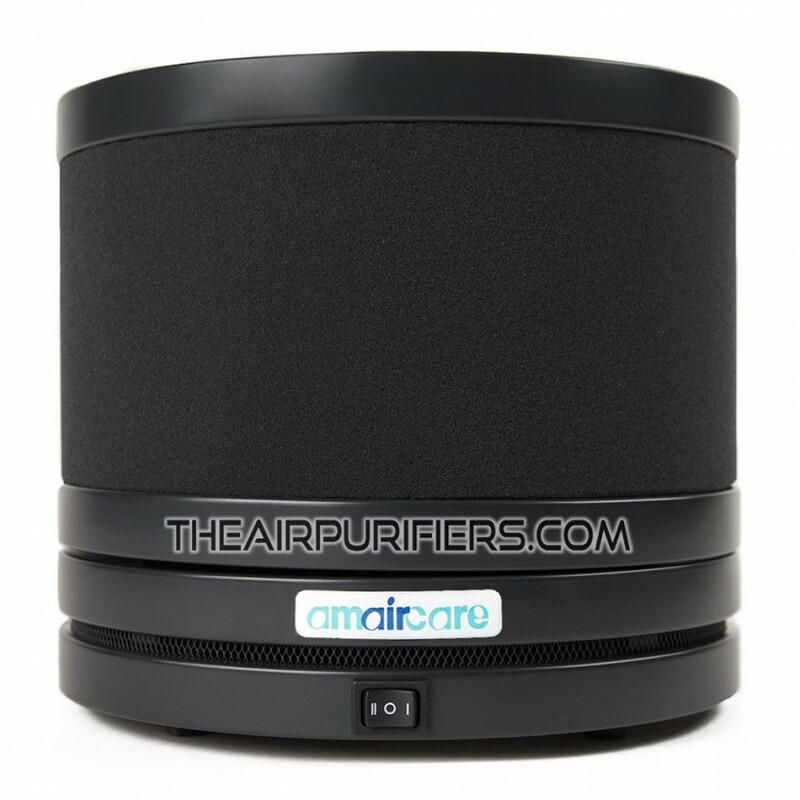 Amaircare Roomaid Multi-Purpose Air Purifier is equipped with high efficiency True HEPA and Activated carbon air filtration system. It allows the Roomaid to trap from the air all airborne allergens, dust, chemicals and odors. The available optional VOC cartridge allows Roomaid to effectively adsorb VOCs, ammonia, formaldehyde and other dangerous chemicals. The Roomaid's compact lightweight design and the ability to run from virtually all power sources makes it highly beneficial for individuals with an active lifestyle and people on-the-go. The available Auto kit also makes the Roomaid an indispensable air cleaning device for combating the air pollution in cars, trucks, RVs, especially for those involved in a long daily commute in heavy traffic of metropolitan areas. 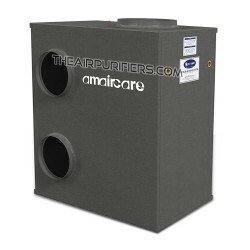 The air filtration system of Amaircare Roomaid comprises 3-Stage air filtration system. 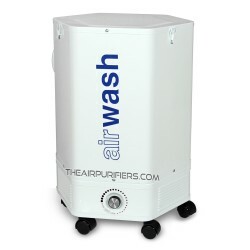 The foam pre-filter (1st stage of air filtration system) captures large dust and dirt particles. 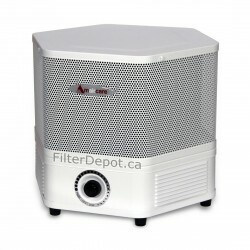 It helps protect the fine True HEPA filter from fast contamination and extend its lifetime. 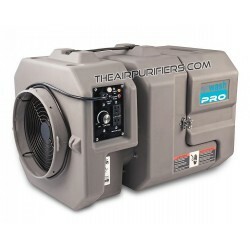 The foam pre-filter can be vacuumed or washed between replacements. The replacement pre-filter's lifetime - 6 months. The Roomaid's Standard Annual Filter kit contains two replacement foam pre-filters. 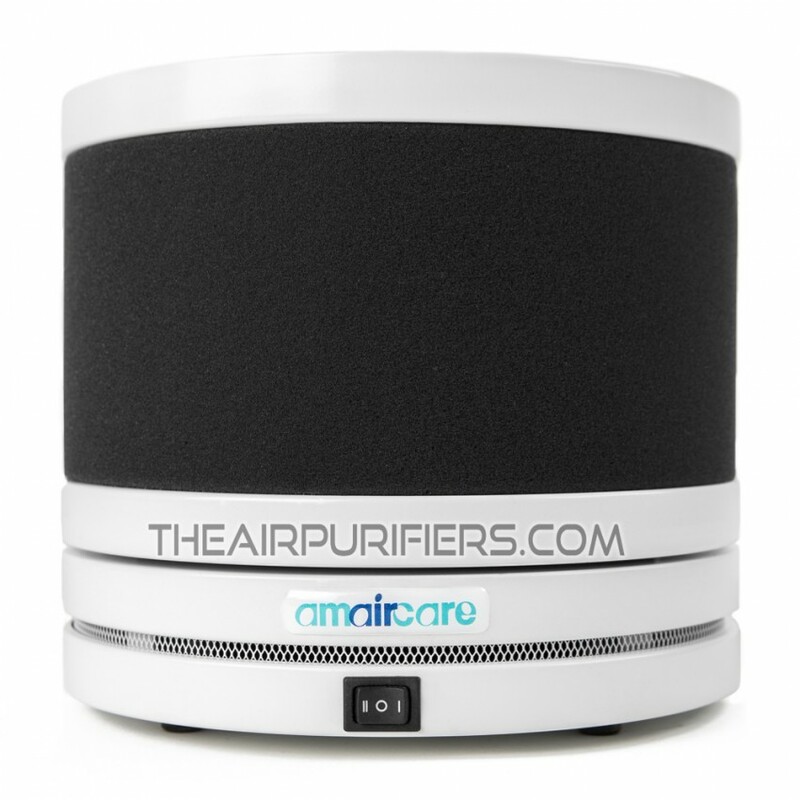 The Amaircare Roomaid air purifier employs True HEPA filter cartridge. 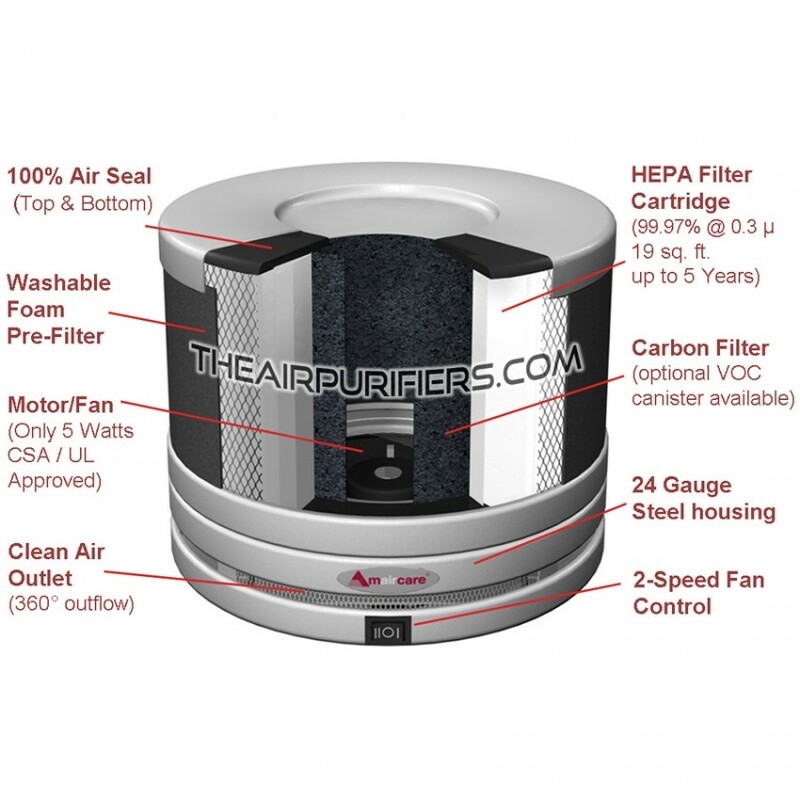 The True HEPA filter effectively traps over 99.97% of all airborne allergens and dust down to 0.3 micron in size. True HEPA filter cartridge features a Snap-On design. 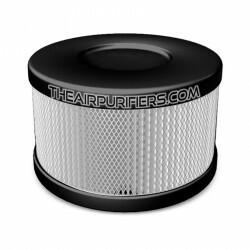 It allows to replace the main filter cartridge without any tools - just pop it off and on. True HEPA filter cartridge comes in three corresponding colors: Orange, Blue, Pink, Green. The effective HEPA surface area - 19 sq. 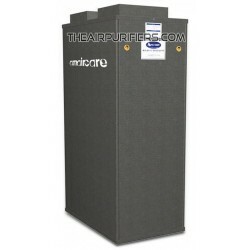 ft.
Amaircare Roomaid air purifier is available either with Standard cloth-embed carbon dust filter or the Optional VOC cartridge. 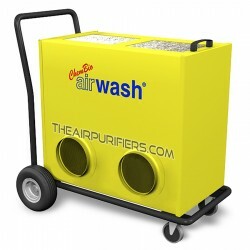 The standard carbon dust filter adequately adsorbs household chemicals and odors, including a cigarette smoke. The standard carbon filter's lifetime: 4 month (on average). 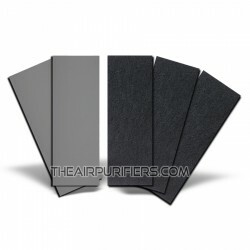 A set of 3 replacement carbon dust filters is included in a Roomaid Standard Annual Filter Kit. The Roomaid's optional VOC cartridge is filled with 0.91 lbs (0.2 kg) of granulated activated carbon. 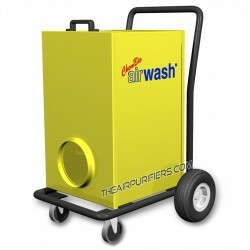 It helps remove hazardous VOCs, formaldehyde and other dangerous chemical substances released by household cleansers, paints, carpet, wallpaper, furniture, consumer electronics and contained in exhaust fumes, fuel fumes, cigarette smoke, etc. 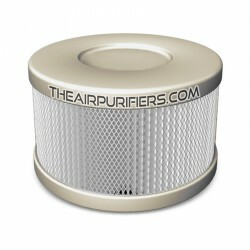 The VOC Cartridge Filter's lifetime: up to 12 months. One VOC cartridge in included in the Roomaid Plus Annual Filter Kit. 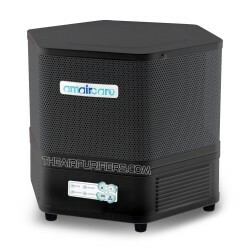 Amaircare Roomaid air purifier is powered by Energy efficient and quiet 12V DC (direct current) electric motor with centrifugal fan. The Roomaid's 2-speed settings motor/fan is rated at 20 CFM (Low) and 40 CFM (High). Amaircare Roomaid features durable, impact resistant the all steel housing design made of 24 gauge cold rolled steel. The appliance quality baked-on powder coating produces No toxic off gassing and is available in three original colors: Black, White, Sandstone and two modern colors: Slate, Pure White. The 360° polluted air intake at the upper deck of the unit improves the overall air purifier performance. 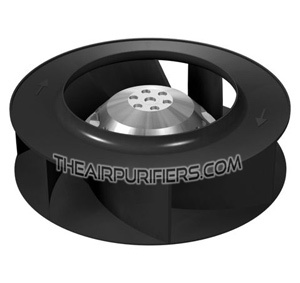 The 330° clean air outlet located at the lower section of the unit evenly distributes clean air within the room. Amaircare Roomaid - What's Included? 120V 60 Hz AC to 12V DC power adapter (Type K Plug) with 7 feet power cord included. The Universal Power adapter for 12V DC output can be used to power the Roomaid air purifier virtually from any power source anywhere in the world. 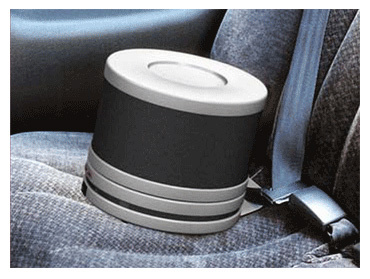 The optional Roomaid Auto Kit helps turn your Roomaid air purifier into an effective air purifier to help you get rid of VOCs (in new or used cars), exhaust fumes, stale car odors, mold spores, germs, dust and dust mites inside your car, truck, RV, boat, etc. The Auto Kit contains the 12V DC Power Adapter and a Secure seatbelt plate. The Power adapter allows to power your Roomaid air purifier from the on-board 12V DC electric system - plugs into electric outlet (cigarette lighter). The Secure plate safely secures your Roomaid air purifier to a vehicle's seatbelt to prevent its abrupt movement. 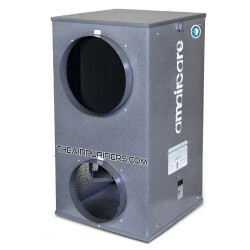 To achieve a higher rate in removal of VOCs and exhaust fumes select the 100% Carbon VOC cartridge option when ordering your Amaircare Roomaid unit. 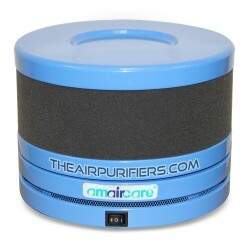 Amaircare Roomaid air purifier ships Free by UPS or FedEx Ground delivery services in Canada and the Continental USA. Other faster delivery services are available at a cost (displayed in the shopping cart). There are no additional charges or extra fees related to the border crossing (if involved) for all US and Canadian customers.